Influencer marketing: is it, as the kids say, “awake”? Influencer marketing, as a marketing method, is extremely popular in social media at the moment. In recent years, brands have awoken to the fact that, instead of paying one “celebrity” a large sum of money to promote their product, they can instead pay a group of people with ‘moderate’ followings (who have established trust with their audiences) the same amount of money. These people are known as influencers, and most influencers work hard to maintain the trust they have with both the brands they work with and their audiences. It seems like every other day you can be scrolling through your Instagram, and one of your acquaintances (that you still follow through an unspoken mutual agreement) is sharing their NAME10 code for a mediocre clothing/makeup/detox tea brand that nobody wears or drinks – thus asserting their status as a “micro-influencer” amongst their peers. Generally, I have no problem with influencers – provided they are serious about the brands they work with and ethical in the decisions they make (yes Kim, I’m looking at you). However, if someone decides to promote appetite-suppressant lollipops to their young and impressionable following (looking at you again, Kim), or try and sell your pre-teen audience £50 advent calendars full of tat (cough, Zoella, cough), I do have a bit of a problem with that. I firmly believe that if your audience is in charge of their own finances, they are in charge of their decisions – they can make informed decisions on purchases depending on what is promoted to them through the public figures they follow. On the other hand, if your audience is still likely to be getting weekly pocket money, don’t try and exploit them out of their parents’ hard-earned money (like the friendly girl next door did). It’s immoral and wrong. As mentioned above, influencers are the crux of influencer marketing, which has risen to prominence in recent years. Influencer marketing, as a marketing form, places the focus of a brand on influential people, as opposed to the target market as a whole. Marketers can determine the individuals that have influence over potential customers and can organise marketing activities around these influencers. Subsequently, a social media influencer is an individual who has curated a large following and knowledge concerning a specific industry – such as fashion, travel, lifestyle, or photography. These individuals have access to a wide audience and will be able to persuade their audiences to look at a particular brand or product, depending on the authenticity of the content they create. How can Someone Become an Influencer? In the modern world of social media, it is now possible for literally anyone to become an influencer. It seems like all you need to do is decide what you want to post about, curate a large following based on that idea and create relevant content – then reap the rewards of your new-found internet fame. Naturally, the reality is much different. Serious influencers will work with an agent to help secure any paid promotion that they are going to receive. Many talent agencies now deal exclusively with digital content creators. Much like the traditional talent agencies, they will work with clients to help secure brand deals with the individuals that they represent while striving to curate mutually beneficial partnerships between the involved parties. One of the most well-known digital talent agencies in the UK is Gleam Futures. They have been responsible for managing most of the ‘famous’ British lifestyle content creators – including Zoella, Joe Sugg, Jack Maynard, Louise Pentland and the Saccone-Joly’s. Arguably, these individuals are successful in their own right – despite being more or less unknown by anyone over forty. After reaching many women with their idealistic contraception ads on Facebook and Instagram, the bubble burst for Natural cycles after their “highly accurate contraceptive” turned out to be a lie. How come? Women started getting pregnant. Cue a (well-deserved) ban from the ASA and a tarnished reputation. Never ones to shy away from scandal, the Kardashian-Jenner’s Calvin Klein collection was met with scepticism when people realised that one of the retouchers had been a little overzealous with the airbrush. At the start of September 2018, British style and travel blogger Scarlett London found herself under fire for a whimsical Listerine advert. The post in question saw London placed meticulously on a bed (that had a blanket with a picture of herself on it), surrounded by strawberries and ‘pancakes’ (tortilla wraps). Unsurprisingly, these posts caused more than a few raised eyebrows, as the entire virtue of social media was thrown into jeopardy. It was almost as if people started to realise that the things put on social media weren’t accurate depictions of real life! As well as these questionable examples, there are also some newcomers to the influencing game that try taking shortcuts (but still expect to see the same rewards). Instead of taking the time to grow and nurture a dedicated following, they might buy a thousand followers for less than a cinema ticket. Thankfully, it is easy to spot these faux-influencers. They will have little-to-no engagement on their posts – which will turn away any brands wanting to work with them in the future. From the influencer’s ashes rose the micro-influencer. As their title indicates, micro-influencers are influencers with a smaller following than their traditional counterparts. These influencers may only have tens (instead of hundreds) of thousands of followers and will have a very niche following. Gone are the days of broad lifestyle bloggers, there is now a wave of new-generation influencers who have thousands of followers because of their accounts dedicated to cleaning, exercise, doors and… slime? As brands and consumers grew weary of the money-grabbing and exploitive “anything-for-the-money” ways of the traditional influencer, these smaller accounts were able to flourish. 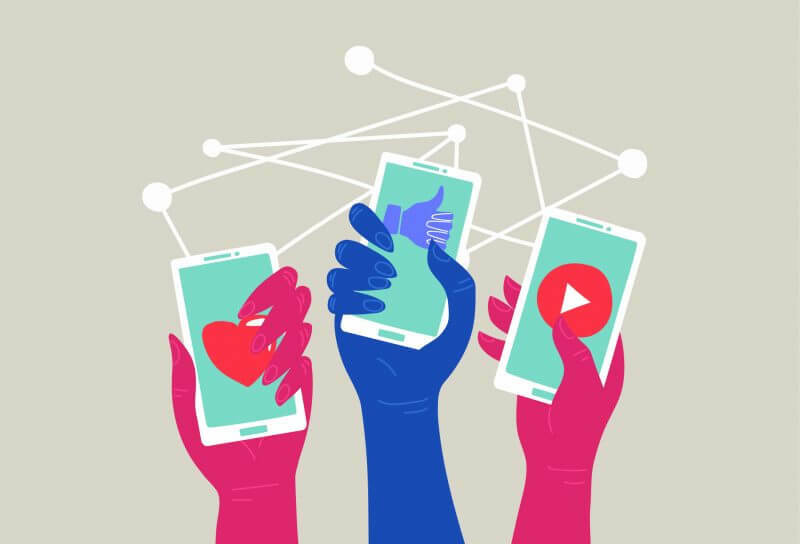 Mainly, micro-influencers are convincingly more authentic – mindful of the fact that audiences value the trust and relationships they have over the brand partnerships they commit to. This has opened the metaphorical flood-gates for an influx of higher-quality content on the platform. Carefully considered sponsorships are now the “anything for money” mindset. Apart from the odd individual who tries to pass tortillas off as pancakes, content is far more refined, making Instagram a slightly more legitimate network. I might have painted a gloomy picture, but I am inherently a sceptic person. Influencer marketing (that’s done correctly) will continue to grow and gain traction until the bubble inevitably bursts and something else takes its place. Besides, while ever it is profitable, it will thrive. Influencer marketing is also very well established and a staple of modern social media – it will take a lot more than a few faux-pas to ruin it. We all thought Youtube culture would never take off – but it still did. Ultimately, there is also the fact that while ever people have egos (and we all know how useful social media is for inflating otherwise dull peoples’ egos), influencers will thrive. People have a great fear of missing out – they want to wear, eat and drink what is popular while emphasising how popular they are on the internet – it is just the nature of social media. I can still hope that the NAME10 trend dies out soon, though.